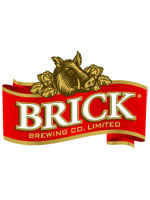 Brick Brewing Co. Limited (TSX: BRB) last week announced a new contract manufacturing agreement for an initial term of three years. The projected volume is 80,000 hectolitres ("HL") over the term of this contract with approximately 10,000 HL in the first year. "Prior to achieving this agreement, our facilities had approximately 200,000 HL per year of surplus capacity," remarked George Croft, President and CEO of Brick Brewing. "The additional volume associated with this new contract will improve our productivity and return on capital." "A key component of our growth strategy is to attract beverage alcohol partners from around the world and take advantage of our expertise and assets," continued Croft. "We recently added a new higher capacity can line and have maintained our A-level certification under the internationally recognized Global Food Safety Standard, both of which have contributed to our continued success in earning and maintaining the co-pack partnerships we have." Brick is scheduled to start production on this new manufacturing agreement beginning March 1, 2013.